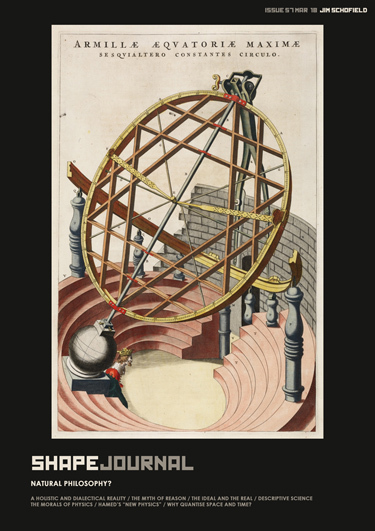 Welcome to the 57th issue of the SHAPE Journal considering the philosophical assumptions underpinning Physics, and its roots in Natural Philosophy. This series of papers by philosopher Jim Schofield takes a fresh epistemological look at modern science and offers a strong critique of contemporary theory and practice, from a staunchly materialist standing. It does so both through a dialectical examination of the discipline’s assumed premises and their historical origins in early philosophy, and through close criticism of a series of lectures by prominent theoretical physicist Nima Arkani-Hamed.